Australia is a vast country with a little bit of everything to offer. I first travelled there in 2012 planning on staying for 3 months but loved it so much was there for 6. Sydney has to be one of the least built up and laid back cities I have visited with the Royal Botanic Gardens stretching alongside the harbour and parks throughout. The harbour is stunning on a sunny day, making rush hour appear serene with many city workers taking ferries to and from work. Some of the images below were taken in Kangaroo Valley a few hours south of Sydney, a quaint country town surrounded by beautiful countryside. I recommend a visit to both. Tropical town with the great barrier reef just off the coast. I spent one month here staying at Dougies backpackers resort and working at the Wildlife Habitat an incredible time. 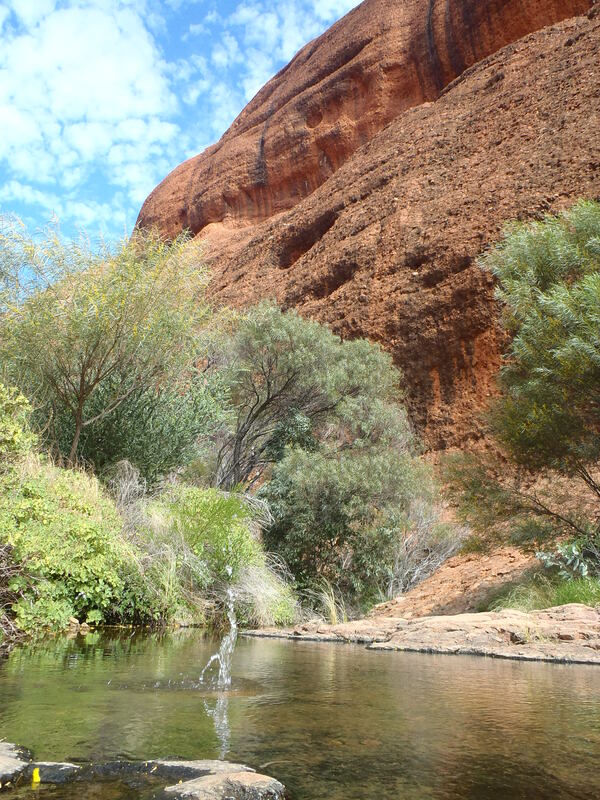 The Red Centre of Australia has to be the most incredible place I have ever been. 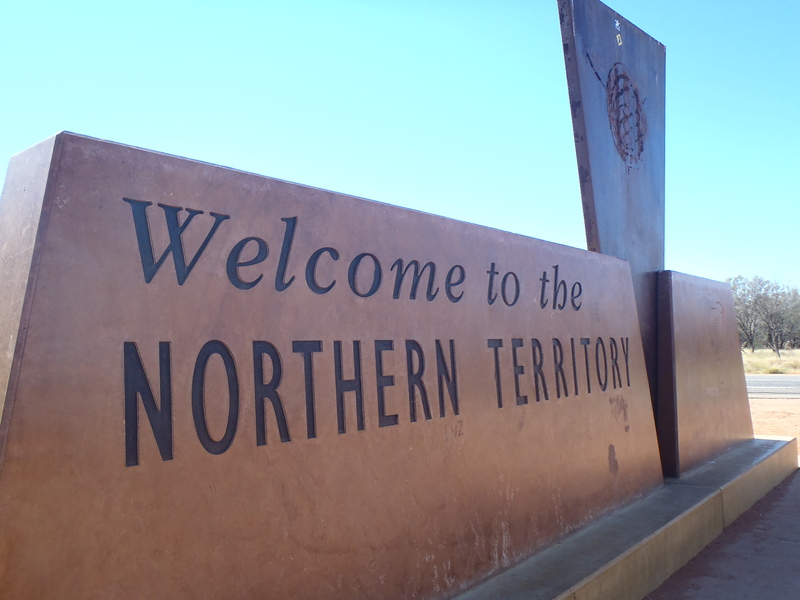 My boyfriend and I, arrived into the Northern territory after a full week of driving from New South Wales but still just the beginning of our epic road trip around Australia. Having been quite disappointed by the fairly flat, bare, landscape of South Australia arriving at the border got us extremely excited for what lay ahead and we were rewarded straight away by a dramatic change in the surroundings. 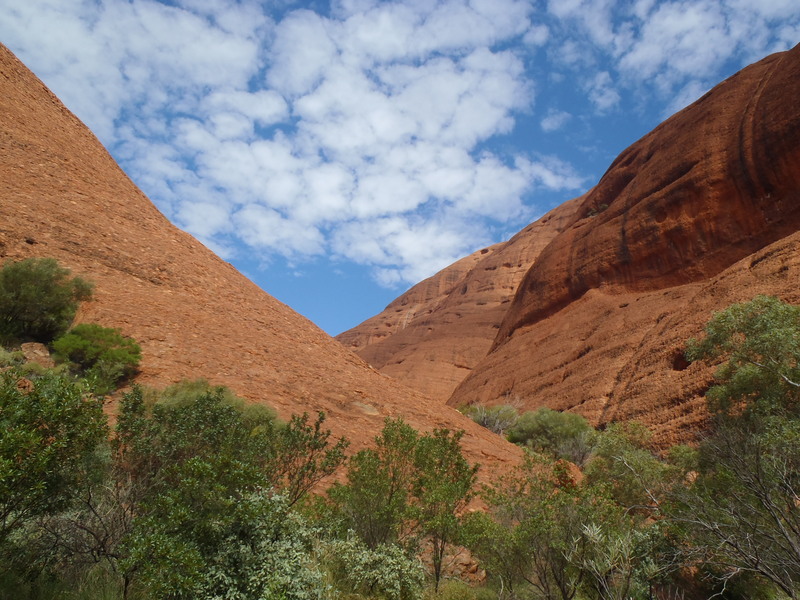 Our next stop had to be, the highlight of our trip, the iconic Uluru or Ayers Rock. It was quite expensive to get into the national park but it is well worth it. We arrived mid afternoon after driving most of the day so headed into the park to have a quick look before finding somewhere to camp for the night. 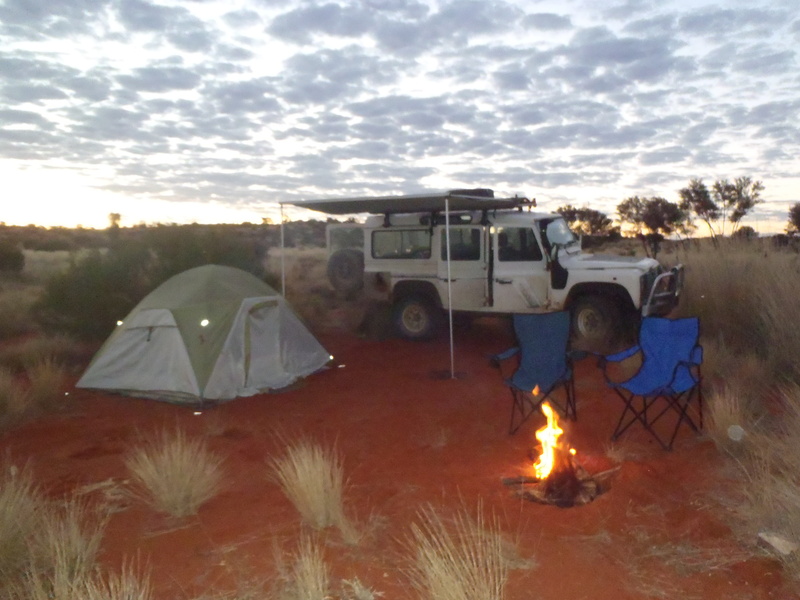 We quickly discovered that the camp site was more pricey than entry so with the aim of sticking to our budget drove slightly outside the national park to a free camp site. Although this had to be our favourite camp spot so far we were a little disappointed by people’s lack of care to preserve it, with litter and toilet paper surrounding every bush. This however was soon forgotten sitting by the fire and looking up at the incredible stars, rewarded further by more than one shooting star. After a great nights sleep we had breakfast sitting on the roof of the car looking at Uluru. We then drove to the base where we embarked on the 3 hour walk around the rock, unable to climb it due to strong winds up top. We set off a a relaxed pace, exploring every little cave and stopping for lunch half way. By the time we made it round, the gate had been opened and we could finally conquer the rock!!! 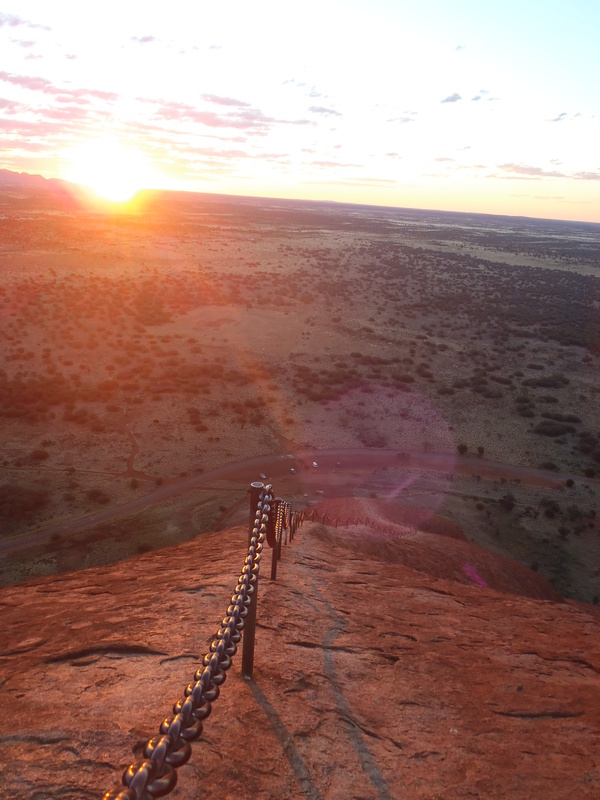 The climb involved a very steep slippery slope clinging on to a chain at about knee height. Definitely not recommended for anyone unsteady on their feet. After about an hour struggling up and a further walk following a painted line, we made it! 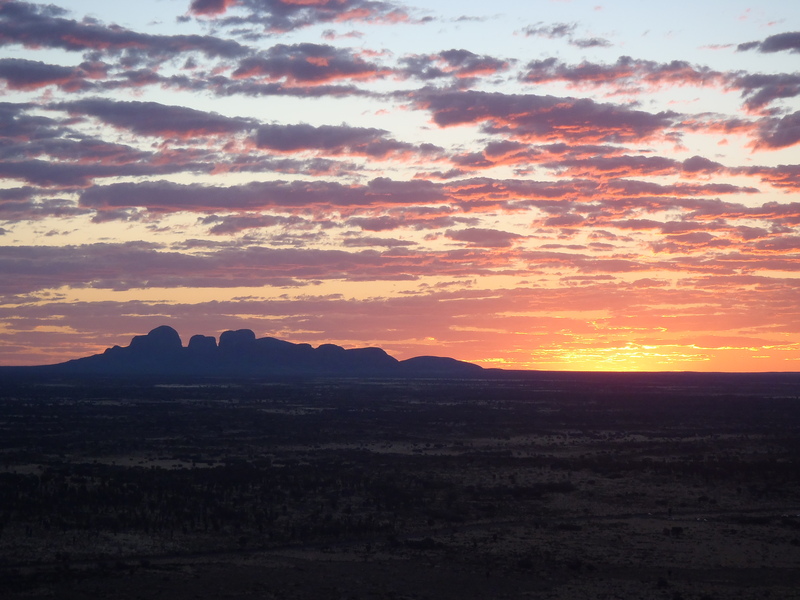 The view was incredible with the sun beginning to set and the Olgas in the distance, we felt on top of the word! 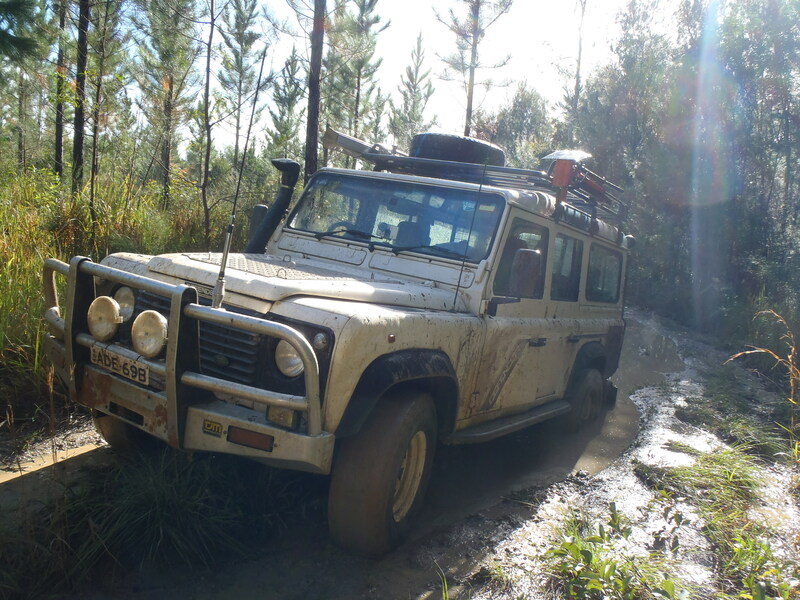 The next day, we set out to explore yet another amazing sight, a little deeper within the national park. The Olgas! I would say these are even more incredible than Uluru though I had never heard of them before. We spent the day hiking and taking them all in, enjoying paddling in the stream and looking up at the vivid blue sky. The next morning we packed up camp and got back in the car for the next stop on our road trip, a few hours north, Kings Canyon. 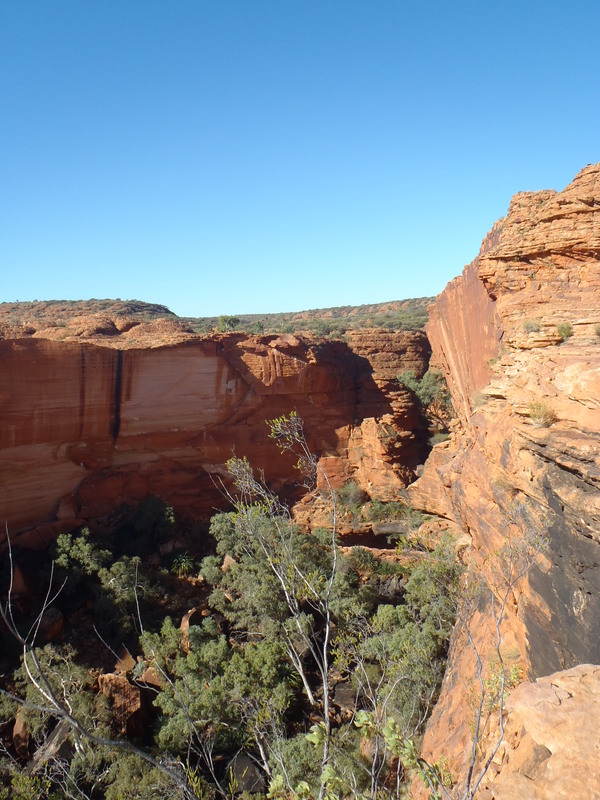 Kings Canyon is yet another one of the wonders of the Northern territory. We spent a day exploring every inch of the vast canyon and climbing the towers around the rim. The Kings Canyon camp site nearby is also a great place to stay, with lots of space, tennis courts, restaurants and a pool. 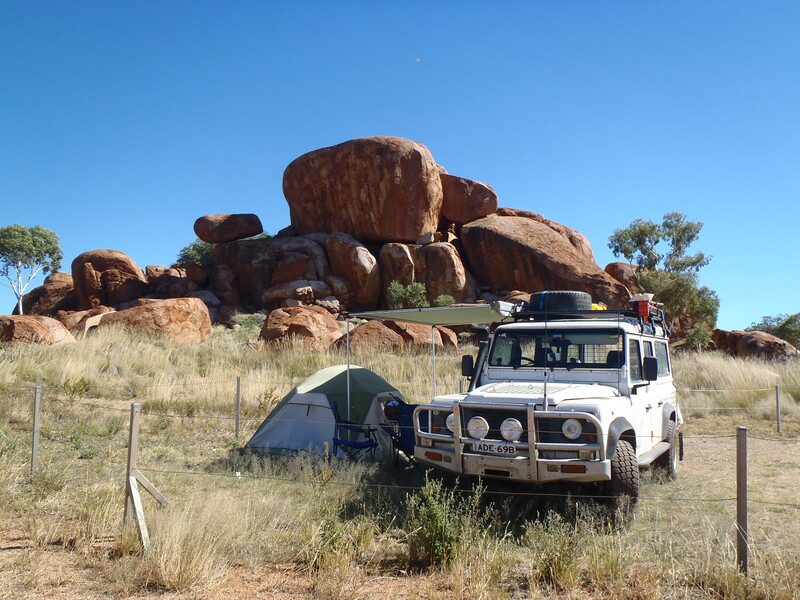 The final must see of the Northern territory are the Devils Marbles, a collection of huge pebble shapes rocks piled on top of each other. The story being that the devil emptied his bag of marbles here. As you can see there are camping facilities right beside the rocks (though only compositing toilets and no running water). You can easily spend hours climbing the rocks and exploring the surrounding area. The next part of our epic road trip took us across from Tenant Creek, Northern Territory through quiet northern Queensland to the stunning east coast. 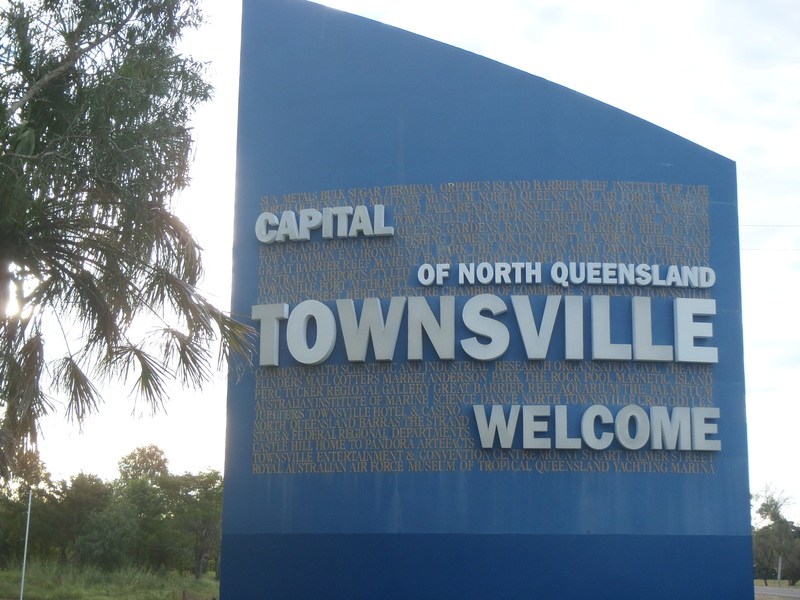 The first stop we made was Townsville, although the weather wasn’t the best we thought it was a great city with lots to do. Climbing up Castle Hill is definitely recommended the view from the top is amazing. As we began to move down the coast the weather got progressively worse, so we bypassed many places we had hoped to stop unfortunately in a bit of a rush to get back to Sydney. 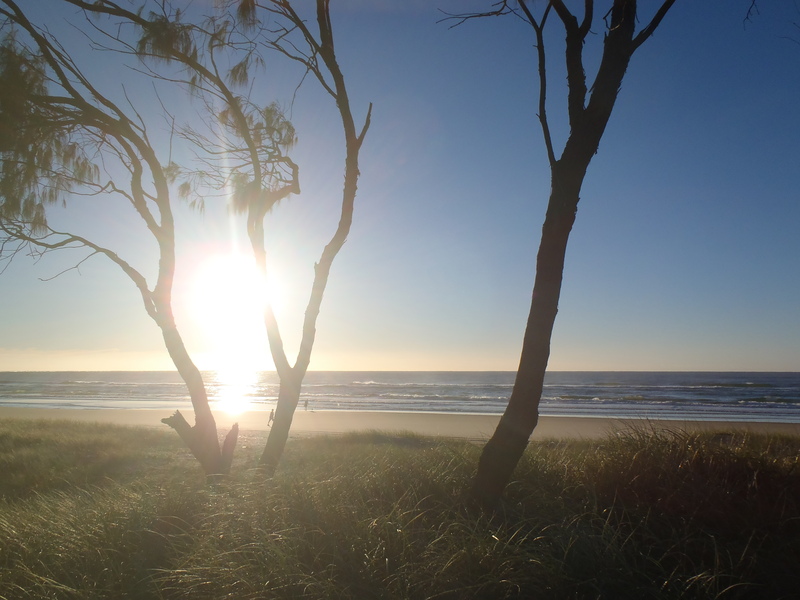 Further down the east coast we met some friends who recommended a visit to Rainbow Beach. We loved it so much instead of staying one night we stayed for three, but wished it could have been longer. Although you have to pay for camping permits, it is well worth it, we got to camp right by the beach, such an incredible spot! The first day we spent exploring the numerous off road lanes, before having great fun driving along the sandy beach and walking up to a lovely lighthouse to take in the view. 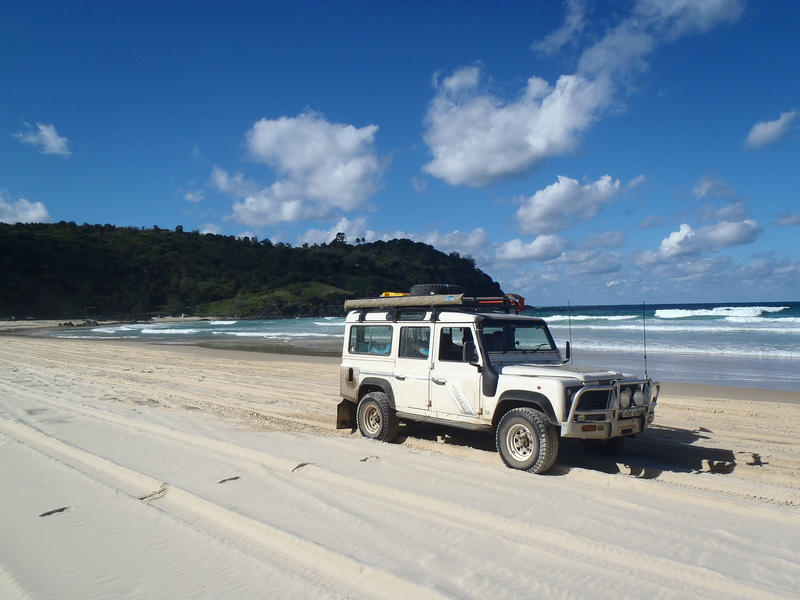 On day two we decided to head over to Fraser Island, we walked onto the ferry instead of paying to take the car across but managed to explore much of the huge island anyway. 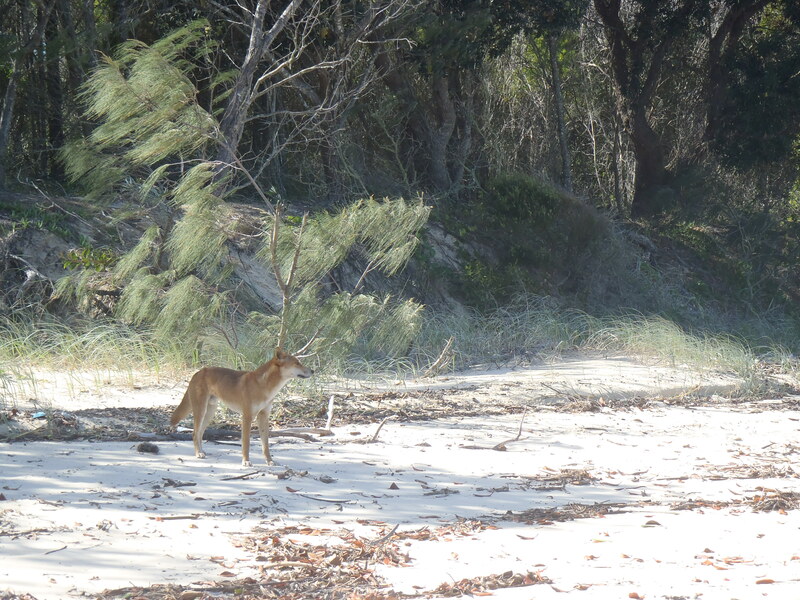 We also had an encounter with the native wildlife, while sitting on the beach I turned around just in time to see a dingo trying to make off with one of our backpacks, we jumped up to chase it but luckily it quickly gave up and ran off. 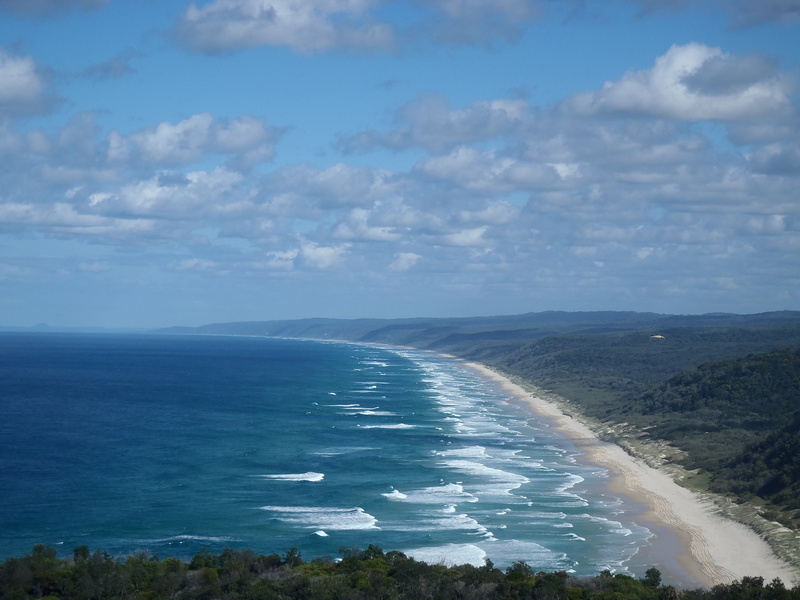 The next day we reluctantly said goodbye to Rainbow beach to continue our trip south. 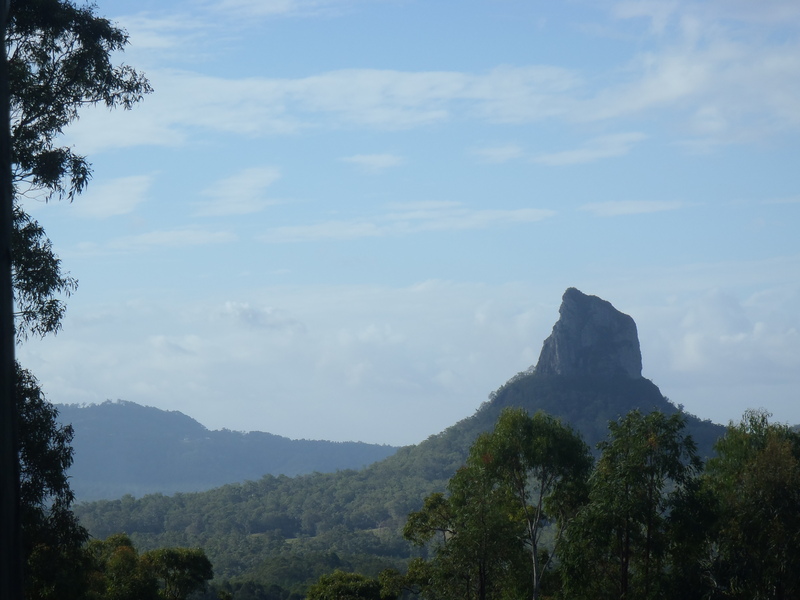 Our next much awaited destination was the Glasshouse Mountains for more Green lane off-roading! The striking mountains are incredible to see especially next to each other at the panoramic lookout. There is lots to do around the Glasshouse with hiking trails all over the place and of course the renowned Green lanes, the reason we were here. We spent the next day trying out every lane we could find which was going great until…. But after an hour or so shoving branches under the wheels we got it out to our relief with no need for a tow. Getting straight to back to more exploring. After the Glasshouse we headed back on the road and soon entered New South Wales where our Road Trip began. This trip has been the most incredible 6 weeks of my life so far and although we thoroughly explored everywhere we went there are still so many places I want to visit and revisit, so am glad to say it won’t be the last of my epic Australian road trips!